The MALAGA Action 150, 200 and 300 are suitable for DSLR and system cameras. They present themselves classic, but set accents on the appropriate color selection. The action models are available in black, brown and red. The material of the MALAGA action bags consists of 450D Rip-Stop polyester with PU coating and protects the camera so well against rain. This also applies to the water-repellent double zipper for the main compartment. The bottom of the bag is coated with plastic for protection against abrasion and dirt. Inside and out, the MALAGA action bags provide numerous storage options for small and large accessories. Inside are adjustable one-piece, with which the respective bag can be adapted to the individual equipment of the photographer. The front pocket has a zipper and a pleats that provide enough space. Two mesh pockets are attached to the inside of the lid and another mesh pocket in the main inner compartment. They make the storage space complete, provide space for many small parts and create order. On the side, there are two more pockets in fabric color. 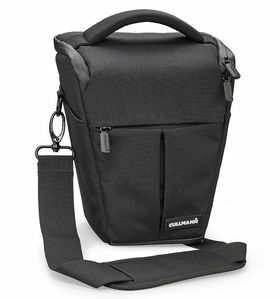 The photographer has the freedom of choice when it comes to wearing comfort: he can wear the MALAGA action with the padded handle, the comfortable shoulder strap or the belt loop.